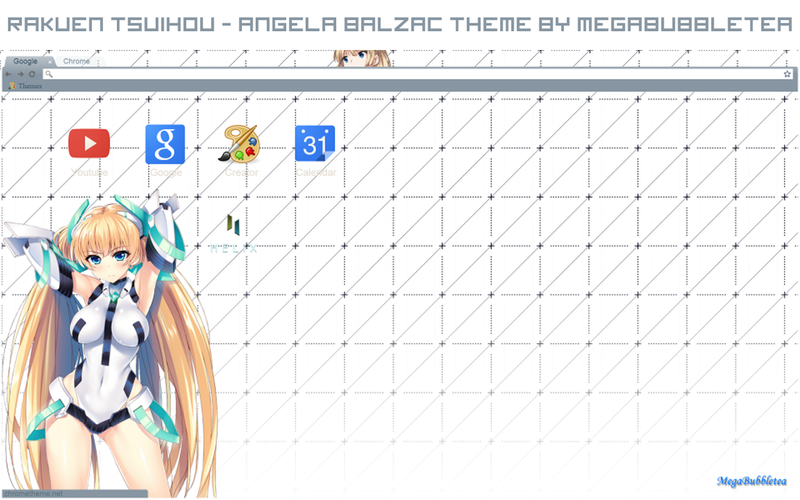 Here's my next Chrome theme for all anime fans: Angela Balzac from Rakuen Tsuihou. If you haven't watched the movie, I suggest you do so! It's an intriguing, sci-fi anime based on the principles of humanity and living in a complete virtual world. Is becoming all digital really human? What about the emotions and feelings of being a human? Well, the anime movie really gets you thinking about what might happen to people if they lived in a complete virtual world. Oh, and there's some pretty nice 'mecha' action as well (towards the end) to keep you entertained. Well anyhow, here's the Angela Balzac theme. Enjoy!